NIHONMACHI TERRACE — Devine & Gong, Inc.
Nihonmachi Terrace is a multi-family residential property consisting of seven buildings and 243 leaseable units. 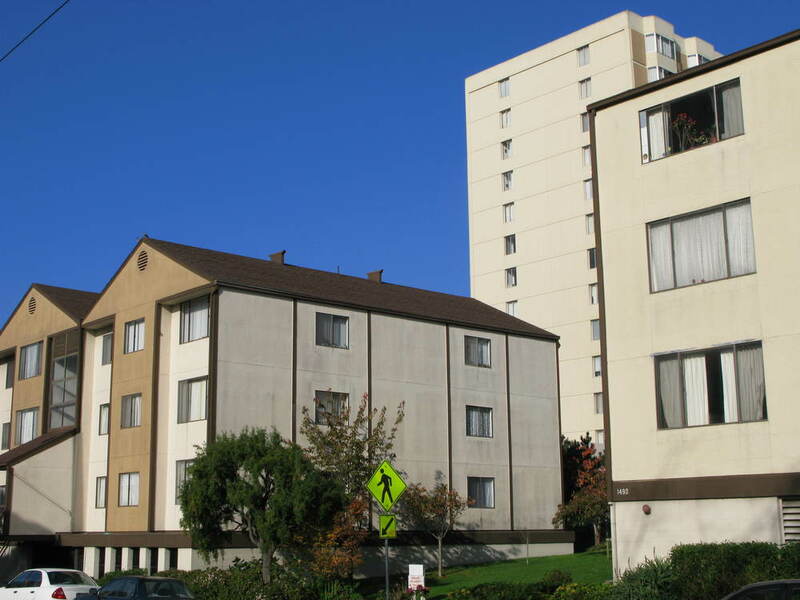 Built in 1976, Nihonmachi Terrace was in need of extensive overall renovation, with specific emphasis on improving health and life safety systems, accessibility, major building systems (roof, windows, mechanical, electrical), and dwelling units. DGI worked with Japanese American Religious Federation Housing, Inc. (JARF Housing) to refinance and rehabilitate the property, and to ensure its permanent affordability. DGI was involved in all aspects of the project and remains closely allied with JARF Housing in its progress and management. To date, DGI secured for JARF Housing predevelopment, construction, and permanent financing for the $38 million project. Financing included Low Income Housing Tax Credits, tax exempt bonds, local government support, and significant special federal assistance for rehabilitation. All units are restricted at or below 60% of area median income, with a majority restricted to households at or below 50% of AMI. JARF Housing designated 174 units (71%) as low-income senior housing through the refinancing process. DGI renegotiated the existing Section 8 contract for the project. Additionally, DGI spearheaded the relocation work and provided significant input and capacity-building services to JARF Housing’s management, including numerous organizing meetings with residents on site.